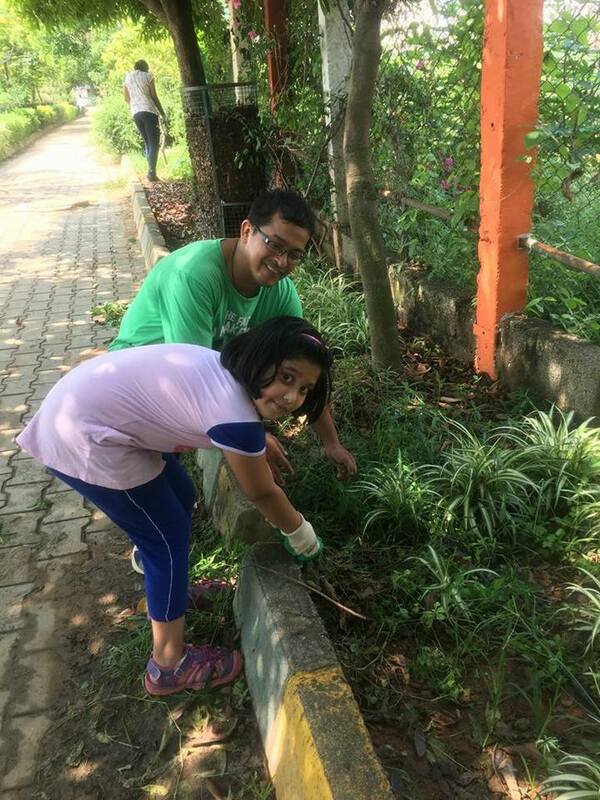 The Family Gardening Day for residents on 2nd June saw 10 adults and 8 children at work at Puttenahalli Lake. Volunteer Sapana Rawat who led the team had this to say, "We worked for an hour and plucked out the weeds that needed to be removed. Six year old Avni was thrilled to see worms and other insects. 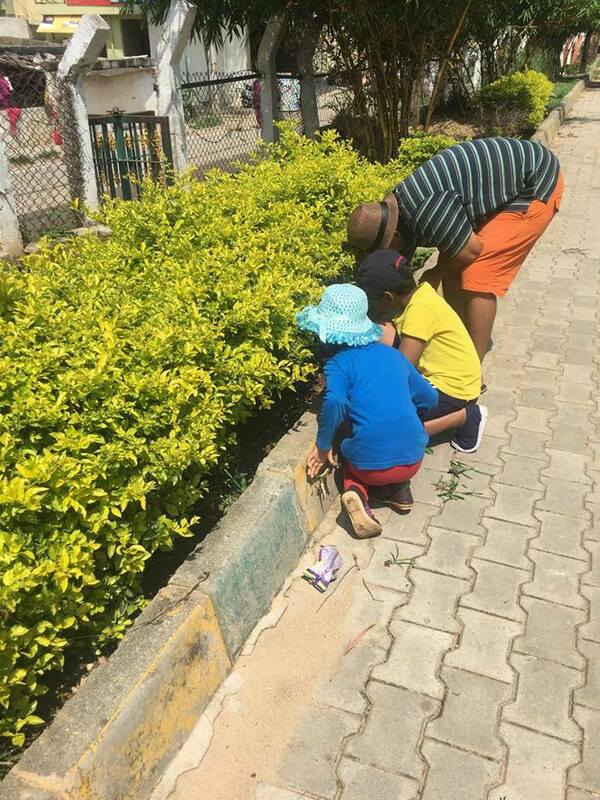 She was so focused, she kept looking for Subabul saplings even after we told her that we had taken them all out!" Mr. Nag Raj, her father, added, "She got to relish (Singapore) cherries! We look forward to more such events." The lessons one learns in childhood especially by actually doing it are those that will stay. We hope more children will come for the next Gardening Day on 7th July. The number of participants may seem low but we would rather grow with a small team, keep growing and make the entire neighbourhood rally to nurture the lake.